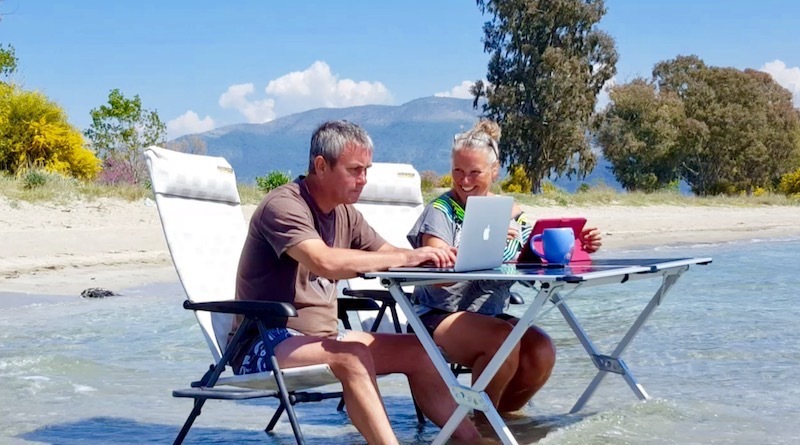 As I write about our Greek adventures for a magazine article this week, I have noticed how many posts there are on Facebook about heading to this luscious land this year. I’m sure it’s always been a popular destination – after all who wouldn’t want golden sands, white washed, cobbled-stoned street villages and azure blue seas! I’m in! 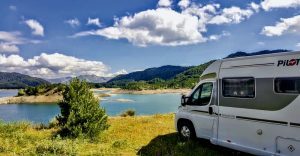 As we had a glorious 3 months there touring in our camper, a month of which was in Crete I thought it would be worth putting together a resource that captures all of our experiences, lessons, places we visited, and camper stops just in one place. A one-stop shop if you like. 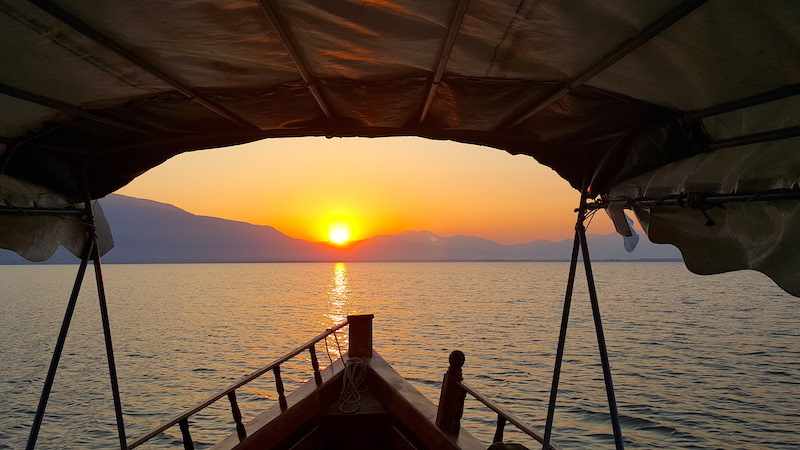 Of course the normal caveat applies – we didn’t visit everywhere – you can’t possibly in three months, although we gave it a good shot and managed to get to see a diverse range of places on Islands, mainland and the Peloponnese. So sit back, relax and soak up the goodness that is Greece. This map gives you a good sense of our places of interest and our camping spots with co-ordinates, if camping is your thing. Just click on the dots for more information. Flying is the most obvious, either into Athens or into one of many inhabited islands. 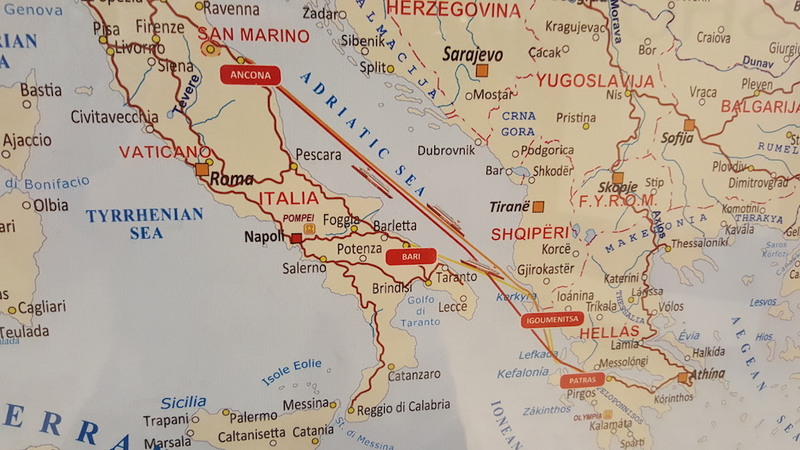 Or you could take the ferry from one of five ports in Italy; Venice, Ancona, Trieste, Bari, Brindisi to either Igoumenitsa in the north of Greece up by the Albanian border or Patras, gateway to the Peloponnese. 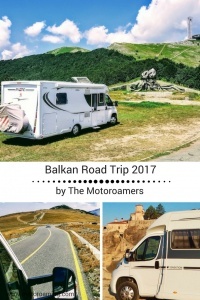 Alternatively you could drive, one of two routes depending on which part of the world you are living in of course…..
Or you can take the Hungary, Romania and Bulgaria route, dropping into north-east Greece. We took the ferry from Spain to Italy, as we spent winter there and then hopped across the Adriatic Sea from Bari to Igoumenitsa. You can read more about the ferry options from Spain and Italy by clicking here for our comprehensive blog. Metsovo Lake where your only neighbours will be the sheep dogs and the odd bear or two, if you are lucky to see them. In an incredible landscape high up in the Pindos mountains and with a little hop, skip and a jump you can check out Metsovo – a characterful mountain village that thrives on local tourism and agriculture. Kastoria a byzantine town hidden in the mountains with its own mirror lake. A town that has prospered historically under the fur-trade banner and more recently attracts international rowing athletes. And if caves are your favs, then you seriously need to go see the Dragon Cave, which is the third largest and longest in Greece, with seven underwater lakes and chambers like you have never seen before. And then there’s the bird life which with its 100 plus pelicans, grebes and warblers you will be in ornithological heaven. Here’s a glimpse of what is in store for you at Kastoria. Kerkini – the place where land succumbs to water as this wetland nature reserve protects hundreds of bird species and where water buffalo wallow in the bogs creating their delectable cheese. Take the sunrise boat ride to see the birds in their natural habitat and be bowled over by this preserved landscape. .
Meteora – a surreal and atmospheric place that looks like something out of a James Bond movie-set. Where sandstone rocks rise to the sky with six monasteries atop. An early morning visit benefits you with swirling mists and shafts of light caressing these magnificent buildings that make you wonder at their engineering feat. It’s a busy place, so beware of running the gauntlet with the caterpillar procession of coaches. Make the most of your trip by following our free guide. And don’t miss the incredible drone footage that we captured. Parga and Lefkas – the west coast of the Greek mainland offers a town that Italy’s Cinque Terre would be proud of with its colourful terraced houses overlooking its double bay. And Lefkas, the only island you can drive to, is more like something out of an Indian Ocean brochure, with its white sand beaches. So many visitors flock to the Peloponnese, three fingers and a thumb of the most spectacular coastal scenery you will see. Coves, bays and headlands will greet you here, with the earthiness of nature’s battle and yet the grace of a seagull. Don’t miss out on the Diakopto Railway that will take you to the mountain village of Kalyvita, scene of the WW2 Massacre in 1943 and then the Corinth Canal which tells a whole different tale. 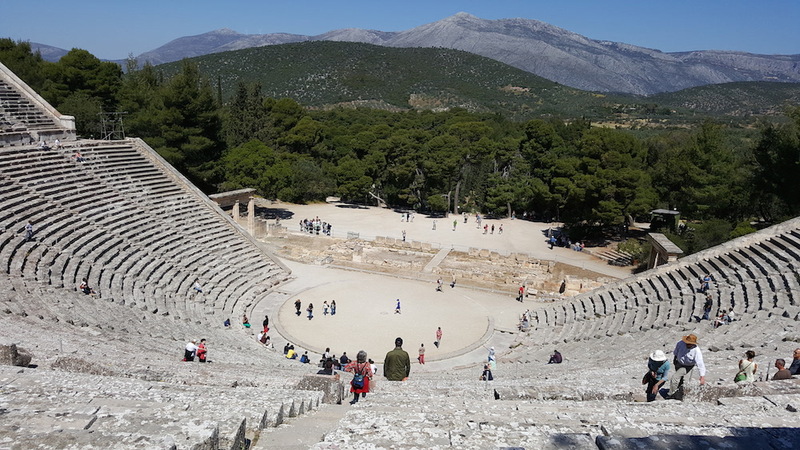 The ancient delights of Epidaurus with its Amphitheatre and Healing Sanctuary will no doubt impress or perhaps its coast will have you exploring the underwater cities with your kayak or snorkel. Methana and its volcanic delights reminds you how fragile our world is and how the earth’s core still runs the show from beneath the surface. Climb up to Methana’s largest volcano via its lava paths and even enter into its shaft – it’s like being on the moon and the scenery isn’t bad either. Check out our video here and our blog. And the ancient capital of the Peloponnese, Napflio with its mesmerising coastline and crystal waters will lure you and surprise you with its three castles, suggesting its historical prowess. The old town is stereotypically Greek with its alleyways linked by magenta bougainvillaea, cafe culture and cobbled stairways leading to the real Greek lifestyle rather than the tourist one. And don’t miss the mind-blowing ancient citadel of Mycenae, just 20km drive north where you will be transported to 4000BC and will get to gasp in humility at the advancement of this age with their water system and jewellery making capability. All of which would look at home in our high street shops. 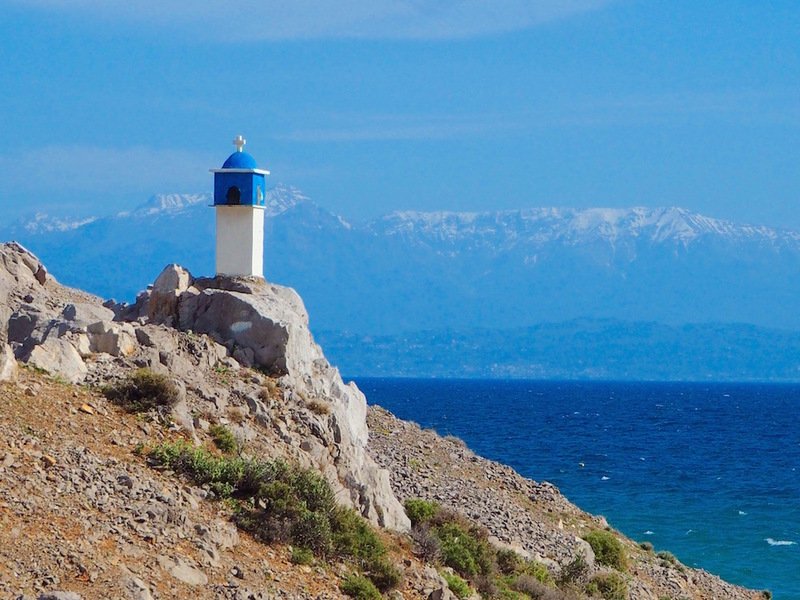 The Peloponnese Thumb is a great introduction to the area and a delight to behold. Firstly let us say that Greece is wild camping paradise and as long as we are respectful and aware of our surroundings, you can pretty much overnight anywhere. 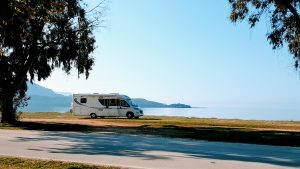 We found some amazing spots, partly thanks to our Greek wild camp guide – Mit Dem Wohnmobil auf die Peloponnese. Although it is in German, the co-ordinates and pictures are more than enough to go by in choosing a home. We also followed pins that have been collected by previous campers such as Peejays, although we also found our own spots along the way. This is one of our favourites at Porto Cheli on the Peloponnese. 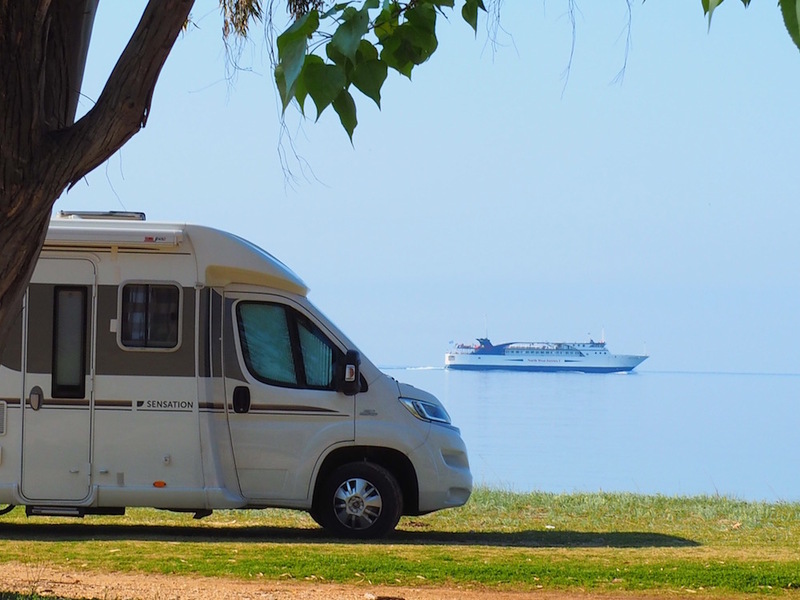 As you’ll see from our interactive map, there are a fair few camping options and whilst campsites are not profuse in Greece, they do exist. Bare in mind that many of them are only open from mid April until mid-end October. That said, if you’re happy wild camping, then going into an official site will only become necessary to off load and fill up with a bit of washing on the side. Water filling up is easy – every beach and marina have showers that you can fill up from and many mountain villages have fresh water springs. So you’ll never go without. For black waste we had a number of solutions for this. First was to go to a Garage, where they often had outside toilets. In exchange for diesel they would give us permission to off-load, given that we don’t use chemical products in our toilet. Secondly, we would ask permission from campsites that we found along the way, whether we could use their facilities. Despite always offering to pay for their services, they rarely took it and were very happy to help. We were only refused once and we kind of understood why. Life is very easy in Greece. There’s no need to rush and the weather is generally great even in Spring, except for the afternoon wind that always springs up like a bad smell, every day. Although let’s face it, it was a warm wind! Driving was pretty good on the whole, although some of the roads left a little bit to be desired. We learnt that when searching for a place to stay, to park up and explore on foot rather than risk taking the van and getting stuck. It happened once and we didn’t repeat the error. Eating out is cheap and delicious and one of the best places in Europe to get lamb. The cost of living is pretty much the same as Italy and France. Still with the amount of wild camping you will do, you will definitely be in pocket. During our first month we learnt plenty – and so we gathered all our lessons in one place so that we can easily share these with others. We also have compiled a ‘Getting By in Greek’ document, which is included in this blog that will help you master some of the language basics – the Greeks, much like any nation love to hear visitors speaking in their tongue. Click here for our insights and your Language Guide. And so there we have it – Greece in a nutshell – at least based on our experiences there. It really is a fabulous love affair with the landscape, the culture and the people. Want to know what all the fuss is about? Then go and start your own Greek Odyssey. It will enrich you, entertain you and enthral you. Your visit is callin you…. As we look back at 2017 and our highlights – Eastern Europe is going to always stand out to us. Whilst we love Western Europe, our curious souls sought more cultural education and east was where our hearts took us. Greece, Bulgaria, Romania and all too briefly, Hungary. What delights these countries were with history, nature, cultural diversity and a world that has been teetering on the edge of communism into the European Union. What a fabulous six months we had. To bring our experiences to life, we have produced an interactive map that shows not only all the camping spots we stayed at during our tour, some of the highlights too. Combining our videos, Drone footage and blogs, you have one resource all in one place. So if Eastern Europe is calling you for 2018 – then this interactive map complete with pictures and co-ordinates is all you need to ignite your plans. We hope that it gives you some seriously entertaining travel inspiration. Click on any of the icons on the map for more information about each place we visited. Please bear in mind that we started from Italy, headed over to Greece, then had a short trip to Crete and then headed north through Bulgaria and Romania before having a short period in Hungary. 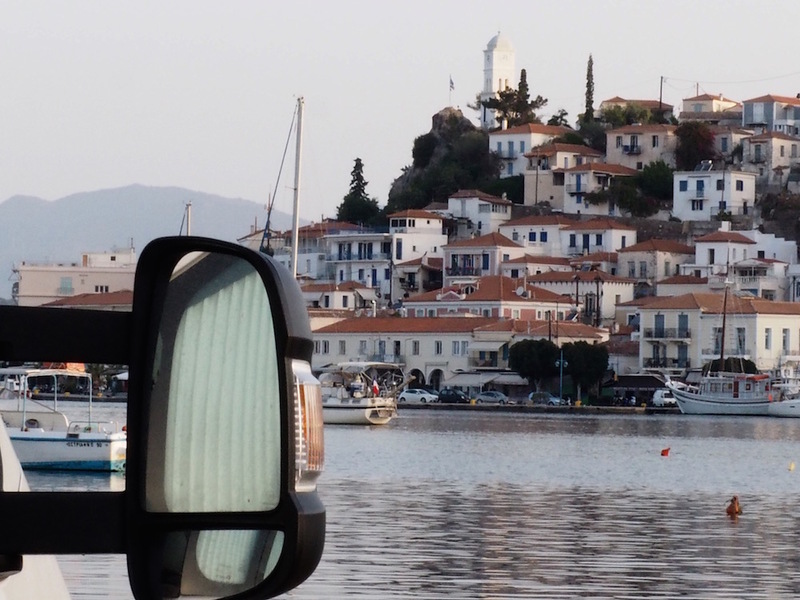 So Greece has offered us plenty of eye-leaking beauty from the minute we left the ferry from Igoumenitsa on 11 April 2017 and in a very short time, a love affair blossomed with this incredible land. Around every corner some new delight greeted our curious eyes. And then there was Crete, which is a serious contender for one of our best memories of the last 15 months. So you would be forgiven for thinking that surely things couldn’t jump up the scale of impressiveness – although you’d be wrong. Northern Greece is so far removed from the Holiday Brochure images of iconic azure seas, golden beach coves and white washed houses strewn with bougainvillea. 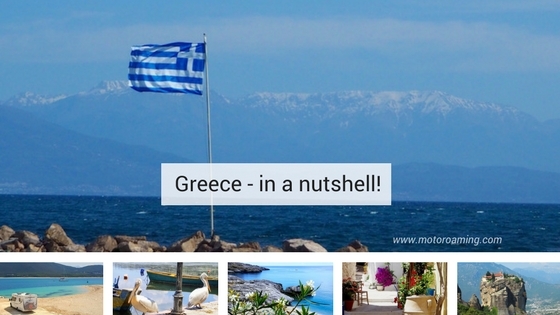 Yet its understated existence on the Greek agenda gives it even more reason to visit. 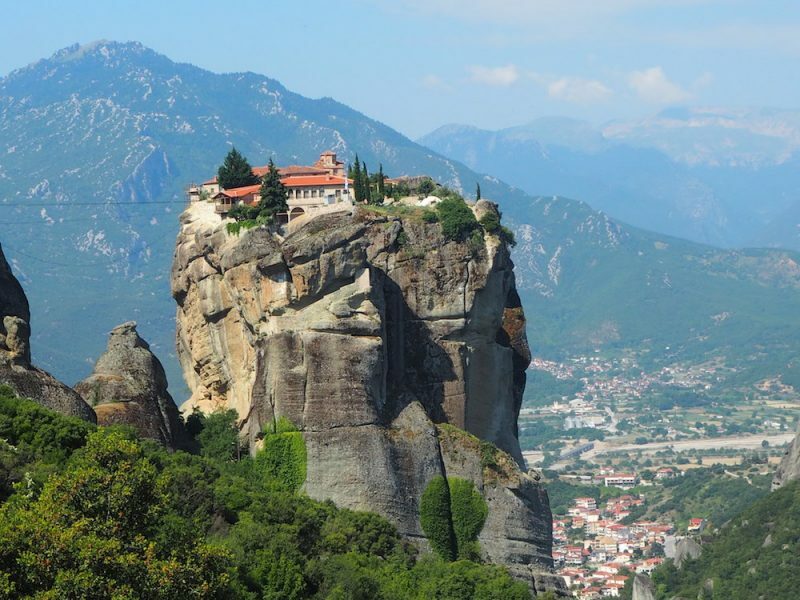 First there is Meteora, where the ancient Monasteries float in the air with the presence of spirituality. Then as you head deeper into the mountains you enter a land only trodden by traditional goat herders and bears trying to pillage the local’s bee hives. With more time, there is no doubting that we would love to have ventured further into the Pindos heartland, with, if I’m honest the tiniest desire to search out the elusive bear. Alas Bulgaria was calling. 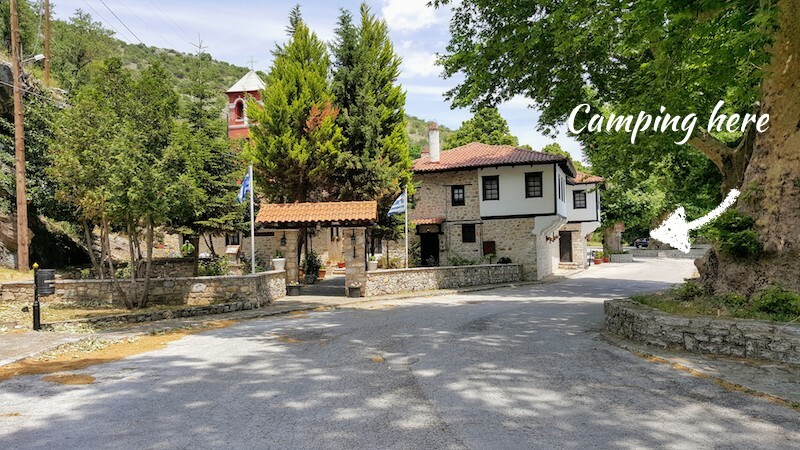 So in our journey east, we decided to miss the Halkidiki peninsulas and stay in the mountains, as this always feelings like a nurturing home for us. 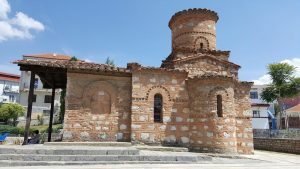 The drive from Metsovo to Kastoria is not breathtaking compared to others, although it is quick on the new motorway (€6 toll) and within 90 minutes you drive into the most welcoming of sights. Picking up a young backpacking couple made the last 45 minutes so much more interesting, as Portuguese Rico and his French partner Rosanne shared their hitchhiking stories. Travel is so much richer when you share experiences together. A mirrored lake greeted us, which took my breath away. It was definitely a sight to rival New Zealand’s lakes. 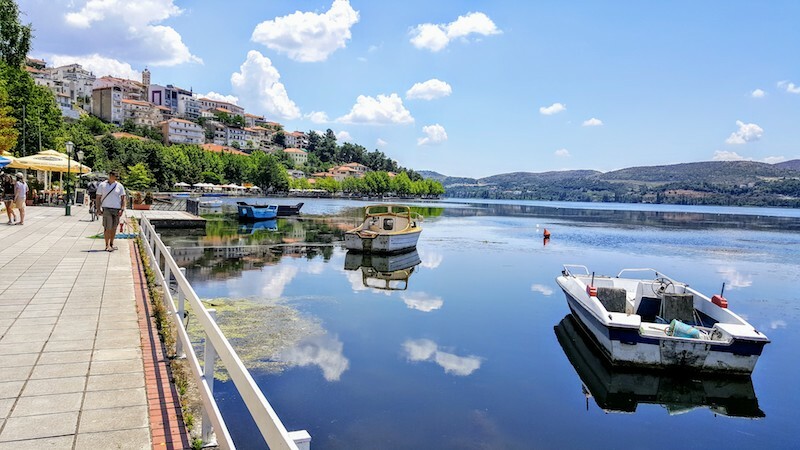 Fringed by the most charming town, Kastoria reflecting back its splendorous image to the skies above. This attractive town is known across south-eastern Europe for its fur trade, which is centuries old and has brought a certain wealth to the area. This is evidenced by the magnificent 17-19th century mansions that proudly stand along the water’s edge, holding secrets of the furriers from a golden era of prosperity. The ‘kastori’, Greek for beaver, which gives its name to the town, were hunted to extinction by the 1900s and now only a few beaver farms exist, with a majority of trade now being sourced with scraps from Canada and Scandinavia. Interestingly, there seem to be more Fur and Leather shops in Kastoria than tavernas and that’s saying something for Greece. 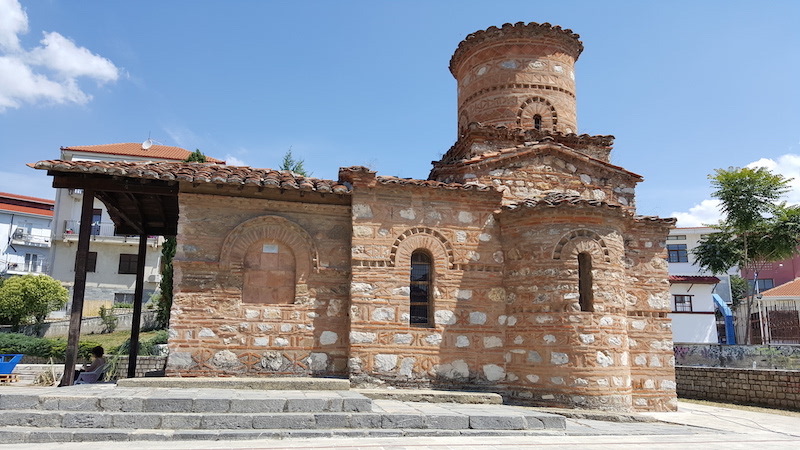 Sadly the key historical fact that is often pushed aside by conversations of fur, is Kastoria’s Byzantine history. There are around 50 chapels that are in various states of repair and yet they still stake their claim amongst the community, often times nestled in between homes. The frescos and architecture are completely different to anything we’ve seen around the rest of Greece. 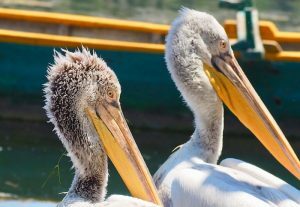 Beyond the fur and history, Kastoria is also famed for her lake, that supports not only a flock of some 100 pelicans, 200 swans and many more cormorants and geese. This place is teeming with wildlife, so if like me you love your photography or bird watching, then this place has your name written all over it. Grebes teach their young to feed on the lake snakes, green frogs croak their songs in a perverse melody and reed warblers compete with each other for musical supremacy. Then after dark the fireflies dance around you, lighting up the bushes like a Christmas tree adding a magical energy to the darkness’ realm. The dawn chorus here is like nothing I’ve heard before; it is choral heaven and a beautiful alarm clock. If you’re very lucky you may even catch the Oxford and Cambridge Blues taking a practice run out on the lake with their oars in tow or is that row! This is big rowing country and they were preparing for a competition of some sort the weekend we left. Kastoria’s jewel is her peninsular that invades the lake’s tranquility, protruding out to the watery wildness. It offers mythology, ancient history and awe-inspiring underground geology. There is a one-way track around the peninsular, which is a perfect 10km round trip on foot or bicycle, giving you a different vista of the neighbouring mountains. At its neck, Kastoria has crept stealthily up over the rise and her influence on both north and south faces of the lake is clearly evident. Either side, lines of traditional fishing tenders line up against the shore, accompanied by a small flock of eagerly awaiting pelicans looking for a cheap meal. 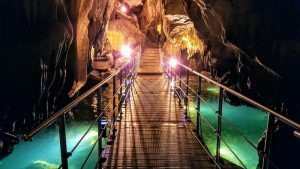 Don’t miss Dragon’s Cave, which is the third longest in Greece, the longest of which is in Seres, just east towards the Bulgarian border. Albeit it a small peninsular, as you enter the underground world, you will be amazed by what is hidden beneath its rock; a whole new world, only recently discovered. 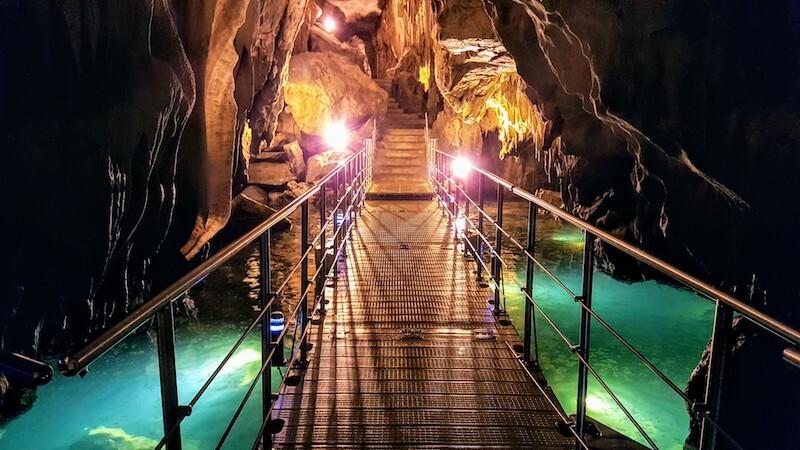 For €6pp you get a 20 minute tour through this underground wonderland, with calcium formations I’ve never seen before and emerald green pools that are fed by the lake outside of its darkened doors. A worthwhile trip to add to your visit. As you regretfully leave the Kastoria’s shores, your route east will take you through fertile plains that keep the agricultural industry alive. Not in an obscene sense. Just land pocketed with squares of maize, barley and red poppies that rival France’s Provence, under the watchful eye of the rolling hills. And then you climb and wind up to the heavens, taking in the distant vista of Kastoria’s realm. The string of lakes in this area are well worth exploring and whilst some are prettier than others, they offer that synergistic perfection of water and mountains. Lake Vegoritida and her town Agios Pandelimonas are, it’s sad to say, a poor relation after the joys of Kastoria, although sweet in her own right. You will be puzzled by the street lights submerged in the water and the permanent fisherman on a pontoon with no bridge to the mainland. What an interesting little place. Sadly our memories here will be somewhat coloured by a human’s cruelty towards their dog, who they trapped, in full summer heat behind a barrier with a football net. So in her vain attempts to escape she had tangled herself and was minutes from death. 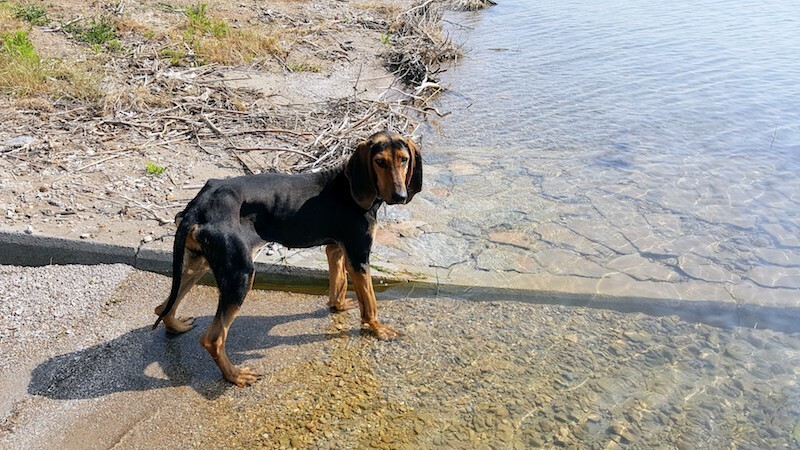 We managed to save her, although she was already emancipated and uncared for, so with water, food and some love we hope she found a way to survive beyond our little sojourn. It was all we could do as none of the locals cared. 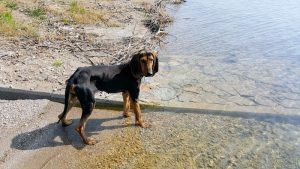 This has been the only blot on Greece’s copybook; they really have very little care for their animals and it is heartbreaking, although part of their culture. That aside another lovely wild spot just outside the town, offered a lovely view from one of three terraced parking areas and although plagued by flies and mosquitoes, the spot is quite charming, yet lacking the charisma of our previous bedfellow. Dave’s gloves are off as he flies again. 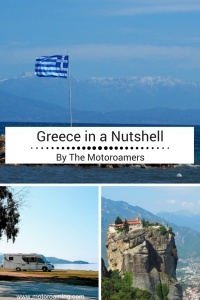 Sneekily snook into Ms Moneypenny’s last post, if you haven’t seen it here’s Dave taking on the awesome sight of Meteora and her Monasteries in northern Greece. When you come to Meteora, northern Greece, be prepared for an experience and not just a visit. This is a very special and spiritual place that needs time, space and respect. Mother Nature and Spirituality fuse together in a symbiotic relationship to create a truly magical adventure. Whether you walk, cycle or photograph, this place will talk to you. Check out our 13 point Guide that is shaped by our four days here. We hope it will help you make the most of this wonderland that will feed your eyes and nurture your soul. Click on the link below to download your FREE PDF Guide.